This is how SAK and Google would bring digital learning to all workplaces. The idea of continuous learning is not new, but the scale is. It is estimated that nearly one million Finns need reskilling over the next ten years when technology changes their working life. 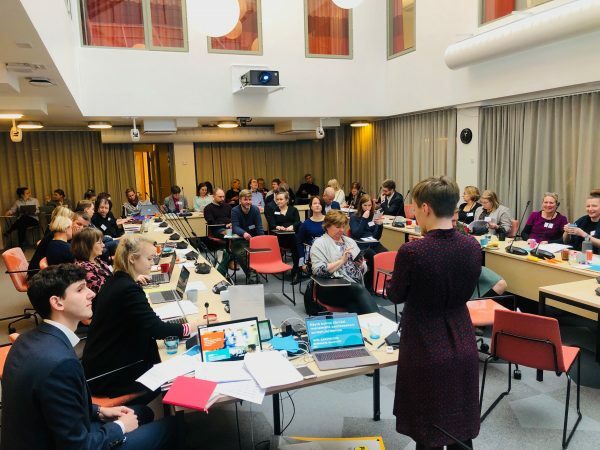 To find practical solutions for continuous learning, SAK (The Central Organisation of Finnish Trade Unions), Google and Demos Helsinki started cooperation and initiated a project during which over 40 experts of continuous learning worked together. 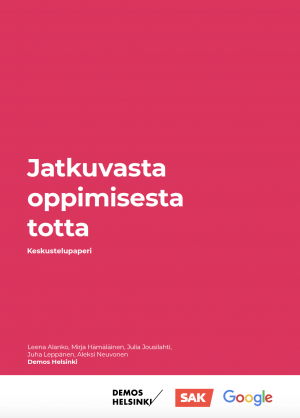 As a result, a paper of four concrete proposals was published today in Helsinki. – Co-operation between SAK and Google may sound surprising. When you think of SAK’s broad visibility into the everyday life of Finnish workers and Google as a forerunner in digital solutions and training, it really makes sense. Collaboration is what we need to solve wicked societal challenges, says Julia Jousilahti, Senior Expert at Demos Helsinki. SAK, Google Finland and Demos Helsinki have outlined four proposals for action to build a society of continuous learning. The paper points out that learning opportunities are not distributed equally in society. For example, knowledge workers have more opportunities for learning than manual workers. At its worst, technological development leads to an increase in inequality when the digital skills of some of the population is left behind. – One in three feels that modern technology in their work is distressing. Employers need to understand the value of continuous learning and allocate time for employees to develop their skills as part of their work. Learning must be part of the work, says Jarkko Eloranta, President of SAK. – In the past few years, Google has trained over 3 million Europeans in digital skills as part of our “Grow with Google” project. We work with expert partners in each country to maximize results. For us, the paper that we present today is a first step towards bringing different skills-training projects also to Finland later this year. Promoting solid digital skills for all is vital in today’s fast-changing society, says Antti Järvinen, Country Manager of Google Finland. SAK, Google and Demos Helsinki organised a workshop that brought together 40 continuous learning experts. 1. Everyone has the right to basic digital skills. During the next government’s term, a programme will be launched focusing on developing people’s digital capabilities. The program should utilise open learning platforms. 2. Workplaces become places for digital learning. Companies’ ability to respond to the demands of the digital age varies. Finland needs a nationwide development program that aims to support workplaces and increase well-being as the pressures of technological change. 3. Learning should be possible alongside the job. We must guarantee the opportunity to study and work at the same time in the adult education system. 4. Better identification and appreciation of informal knowledge. It is essential to make learning visible alongside formal work experience and diplomas. Read the discussion paper here. It’s only available in Finnish.